Brian Tracy -- "Sales Is Essential"
Brian Tracy is an inspiring man. In 1981 Brian began teaching others the principles that led to his incredible success in business. Today he is one of the top professional and personal success speakers and authors in the world. Brian has a gift for communicating complex ideas simply, engagingly and effectively. I have learned so many valuable things about sales, leadership and time management from reading his books and attending two of his seminars. Sales is about helping people. Sales is the communication process of showing people how a product or service can help them to achieve their goals and make their lives better. Sales is a defined process. Great sales people always follow seven steps in order: 1) find the prospect, 2) build trust, 3) identify needs, 4) show that your product fills those needs, 5) answer questions and objections, 6) ask for the order, 7) take great care of the customer so they buy again. The human element is essential. At its heart sales is about connecting with the personality and emotions of the customer. Before learning about the customer and his needs or talking about his product, a sales person must connect personally with the customer to build trust. Sales is learnable. Anyone can learn to sell effectively with study and practice. Sales people must love their product. Great sales people believe in their product and the value it creates for customers. Customers buy a sales person’s enthusiasm in the product as much as they buy anything else. Sales is a weak spot for many technology companies. Technology executives and engineers often make the mistake that their cool technology will sell itself. It won’t. No matter how great the product a sales person is still needed to connect with the customer and explain how the product can benefit the customer. I spoke with Brian at his office in California via Skype on 7 December 2012.
speaker, and inspiring business coach. Welcome, Brian. again, after our time together in Saigon. to improve the lives and works of their prospective customers. So, basically, sales is a form of professional information. their goals, to improve their lives in a cost-effective way. improved and, very often, the sale takes care of itself. someone’s problems and offering them a solution that they need. through, basically, the noise in the customer’s mind. their product can solve problems for them? beset, on all sides, by every type of message saying, “Buy me. is so attractive that the person will stop and pay attention? at it. For women, it’s a baby. product or service, which catches their eye. the advertisement, to pull them into even being aware of it. human contact, it often didn’t work. Why is that? Brian: Well, because human beings are completely emotional, Chris. that they like you and trust you. they’re open to your message. technical people in selling a product? speed up the process, and time is extremely valuable to people. this, then you have two for one. just such an excellent movie,” and that’s how salespeople feel. said, “You must know your product. You must love your product. Chris: People can feel it. Yes. influenced by the depth of your conviction. for a minute about that and what that means? exact need for what you sell. friends, and this leads us back to the top of the funnel again. Packard. Hewlett-Packard began in the garage in Silicon Valley. It was the beginning of Silicon Valley. Steve Wozniak and Steve Jobs, same thing. Brian: Absolutely. You’ve got to have a sales guy. the product and show them how much better they can be with it. wonderful resources there, Brian, about sales. their sales organizations with those closing techniques. couldn’t get over the hump of selling. how well it worked. It was really exciting. sure the customer has no further questions. Chris: Great. Brian, I really want to thank you for your time today. these valuable learnings with my viewers. Thank you so much. good job Chris. This is exactly the same thing i will do on my show next year. Via skype!!! Its great seeing again this morning. I actually thought about you right away when we plan for a new show. The thing is if i do it with you, we must do a Vietnamese subtitle. It’s 5 days a week and it is just time-consuming for the limited amount of people we have. But i will work it out. Keep in touch! Thanks Khanh. Looking forward to your new show! How does your product/service improve the customer’s life in 12-15 words? What buying emotion (need / desire / hope / fear) does your product inspire? Attention is paramount. How can you break through the noise in your customer’s head (without showing an attractive woman or baby!)? Those are my takeaways from this interview. Thanks Chris for sharing and getting Brian Tracy (!) to share his wisdom with us. Thanks for commenting Darren. 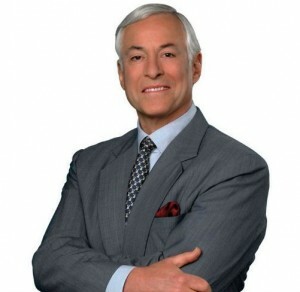 Brian Tracy is the real deal and a class act. I used to focus on online marketing, and now I start a company. With my experience, sales is crucial to a startup, not marketing because you have no money for marketing initially. I love sales and dealing with people. Please have more awesome posts, Chris. Thanks Nang – I’ll do my best. What’s your company? Thanks Chris for this interview! I still believe that we should help the potential customer firstly and politely answers on all questions before the purchase. Only after that we can get the credibility. Yes — it’s all about solving the customer’s problem. I’ve found, though, that often they don’t know the right questions to ask. We have to show them. Previous: Leadership Minute — What’s In It For Them? Next: Merry Christmas & Happy New Year!